A few months ago I shared how our family likes to incorporate service into birthdays (including a list of 15 fun ways to do this). In the past we have done this mainly through holding parties and inviting our friends to participate in giving to a charity, but this year – with me traveling for three days right before my son’s birthday and our family having house guests that whole week – we decided to not have a party and do a family-only birthday instead. It was GREAT. So little stress and so much time just enjoying the day together. It made me really think about how and why we do birthday celebrations. Overall, I want birthdays in our family to be about having a good time together, celebrating how we have grown and what we have learned over the past year, remembering what we have to be grateful for, and considering the gifts we have to share with others during our one lifetime. Instead of giving tons of gifts (or very expensive ones), we decided a couple years ago we decided to focus on giving our child an “experience” as a birthday gift. Last year we went on a helicopter ride because my son was really into flying. This year we went to the (free) museum exhibit on dinosaurs and reptiles. He loved it and it was a great memory for all of us, with lunch at the museum cafe as well. As mentioned above, for the past few years we have also chosen a cause or organization to donate to/fundraise for on birthdays. Basically instead of friends bringing gifts to the party, they bring a few dollars or a chosen item (like toothbrushes or art supplies). You can read about many ideas here. This year – due to our family’s circumstances at the time of my son’s birthday – we decided not to have a party. So instead we chose to “give back” in two simple ways. First I was traveling to Papua New Guinea for a teacher training I helped organize and was arriving back the day before my son’s birthday. So the day before I left on my trip, I took the boys to the mall and we chose 50 small $1 books to give to the children at a school we volunteered at in Papua New Guinea last we visited (in March). We had a good discussion about how special it is to have your own books and my son felt really happy to give so many children – ones he could still remember – books of their own. Then, on the day after his birthday, we went to a second-hand bookshop that donated all its profits to a Cystic Fibrosis foundation and he picked out another dozen books. These were going to our local doctor’s office, because most of their books were ripped or falling apart – plus there were very few to begin with. He was shy going in to give the books so he asked me to explain to the receptionist, but he really enjoyed handing the books over. And as fate would have it, we were visiting the doctor the next week and he actually got to read some of the books he had donated. He had fun showing his dad which ones he had chosen at the bookshop etc. Making memories to me is about recording some of what we did on the birthday itself and also remembering how much growth there has been over the past year. I have created a “Birthday Album” for each child using a scrapbook. I just add three or four pages of pictures from their birthday celebrations for each year (starting with the day they were born!) so by age 15 they will have a full album I can give them as a special gift to document their childhood birthdays. We also started the tradition of each parent writing a note/letter to the birthday boy, which we keep in the album. We say whatever we want – maybe something about what we currently enjoy doing together or how they have grown over the past year. I think these will be a lot of fun to look back on and will be very special for the boys to see all the letters from each year. So there are the four elements to our birthdays. Every year will be different… but these are the main aims of the day for me. Not huge parties or fancy gifts – although these may come into play if it’s appropriate for some reason. But in the end, I want the kids to remember their birthdays as a time of connection with those they love, celebration of life, and receiving joy from giving to others. Do you have any birthday traditions? 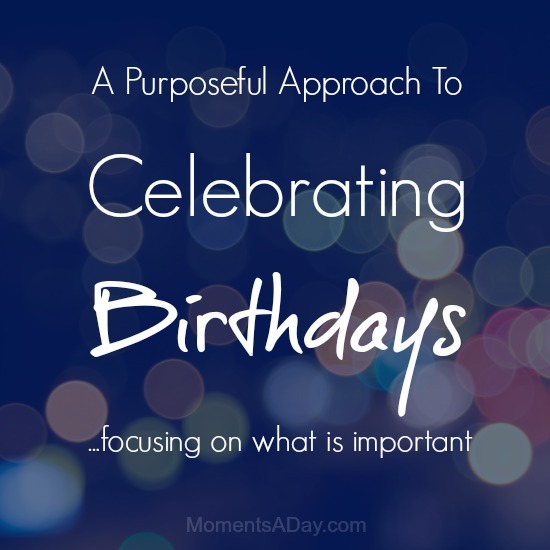 How do you make your birthdays meaningful? 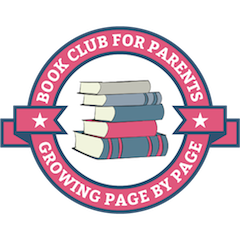 « New Ebook Playing with Purpose: Launch and Giveaway! I love this! What fantastic ideas! We have lots of small traditions for birthdays but I really love the idea of giving at that time as well! Especially if it’s a cause that they are interested in! I love the fact that when you revisit the pictures of the birthday celebrations, you’ll be teaching them about others. So much of birthday festivities is about pure entertainment, which can be fun. But, I am finding that the more meaningful ones are experiences where we connect with others and each other. Yes Sheila truly there are so many wonderful combinations. I’m finding as we add these more meaningful aspects however (we’ve only had 5 years of birthdays, after all – we have a lot to learn and experience!) they do feel quite special. Great ideas! I have to say that parties are important to us. It gives us an excuse to get friends together, to provide continuation to these relationships, as some of our friends we only see at these times each year. We don’t really do big presents (yet). My kids would prefer to play with the recycling than with fancy toys. I love the idea of experiences as gifts. I’m sure the helicopter ride would be really special!